Here you will learn how to save and retrieve image from mysql database using servlet and jsp. This method will work with Servlet 3.0 and MySQL 5.5 and higher versions. Create a table in mysql database with following schema. 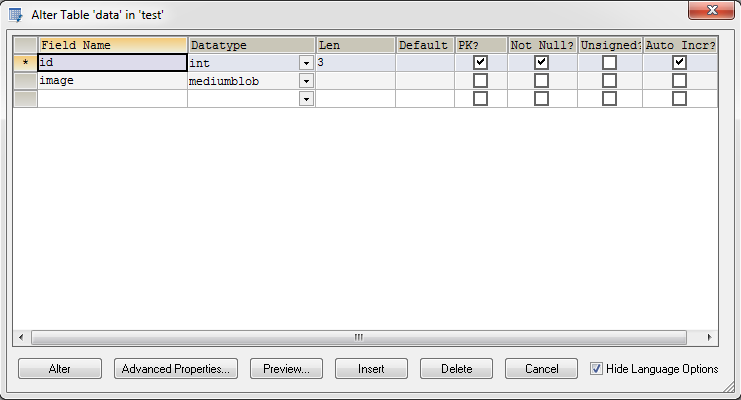 Here I have used MEDIUMBLOB datatype to store image in database. It supports maximum 16 MB file. You can also use other types like TINYBLOB (255 bytes), BLOB (64 KB), LONGBLOB (4 GB). 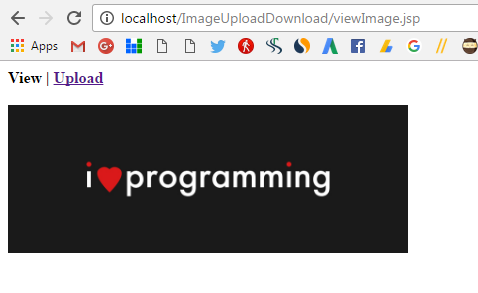 Create a dynamic web project with name ImageUploadDownload. The project have following files. It contains a form to choose image to upload. 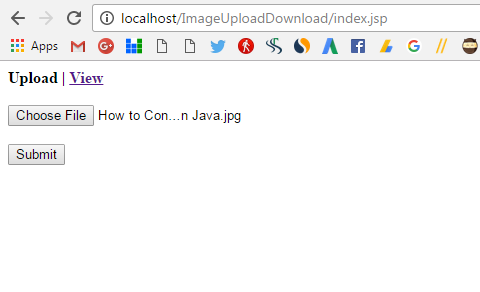 When user chooses an image and submit form, the request is sent to UploadImage.java. It is a servlet that is responsible for storing image in database. This page shows success if image is successfully saved in database otherwise shows error. It contains a form with a text field. User have to enter unique image id and submit the form. The request is sent to viewImage.jsp page. It contains an image tag to display the image. It is responsible for fetching image form database with given image id and display it. Feel free to ask your queries in comment section. For this you need mysql connector java jar. You can download it from below link. i couldn’t get output for inserting image as well as retrieving image.can you please help me? I want to display all the images in the table column, how can I do that? I don’t want to get photo by id, I want to display all images from a table onto jsp (front). Please help me, I’m stuck here for a long time & not getting any solution for this. I want to implement this in my final project please reply asap. ‘can you please say me the code i need help in my final year project,iam stuck in this particular process for a long time. I puted the same code , db …. not working 🙁 plz i need your helps !!! sir, can you show the process from upload,edit until delete?? If anyone can solve this error !!! upload in jsp to mysql database and I really like want you have come up with, however I was wondering do I need a web.xml to go along with this code or not? if So can you please provide the exact web.xml code so i can plug it in my WEB-INF folder, thank you very much. Adrian Mills. Ok! I got the servlet and all the pages with the web.xml and everything is working properly, however the message that is written in the servlet code for result.jsp is displaying on the page “Some Error Occurred” is coming up, but I know the prgram is working correctly and everything, but I am getting this message on the result.jsp page, can you please help and tell me what the problem is, why i am getting this message, thank you very much. Adrian Mills. hello, never mind about the error that I was getting from the jsp page , I have figured it out, there was a bug in the mysql.connector.java it was an older connector, and I downloaded the latest version and a later version of mysql and then everything worked perfect thanks again for the code it is awesome, I like this website too, thanks again, bye. Adrian Mills. hi,I would like to display details of a person along wwith his photo,how can i do this?